We have lots of new t-shirts online and in our restaurants. 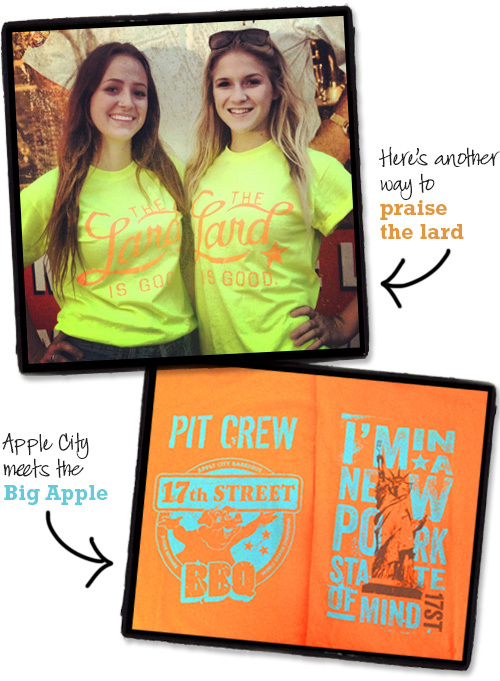 There are just a few of these limited edition Big Apple Barbecue Block Party t-shirts left. Most shirts available through 4xl. The neon yellow The Lard Is Good shirt is one of our newest and most popular designs. 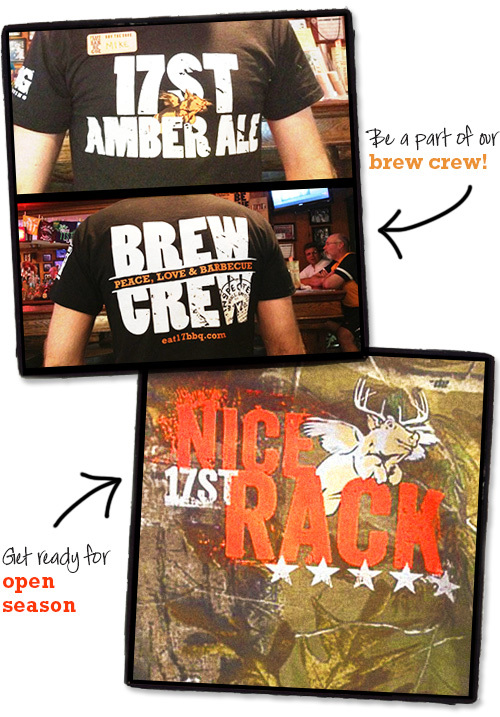 Amber Ale Brew Crew and RealTree® camouflage Nice Rack. 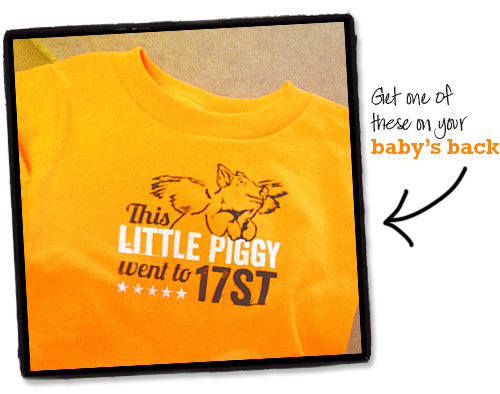 And of course a pint-sized infant/toddler tee.